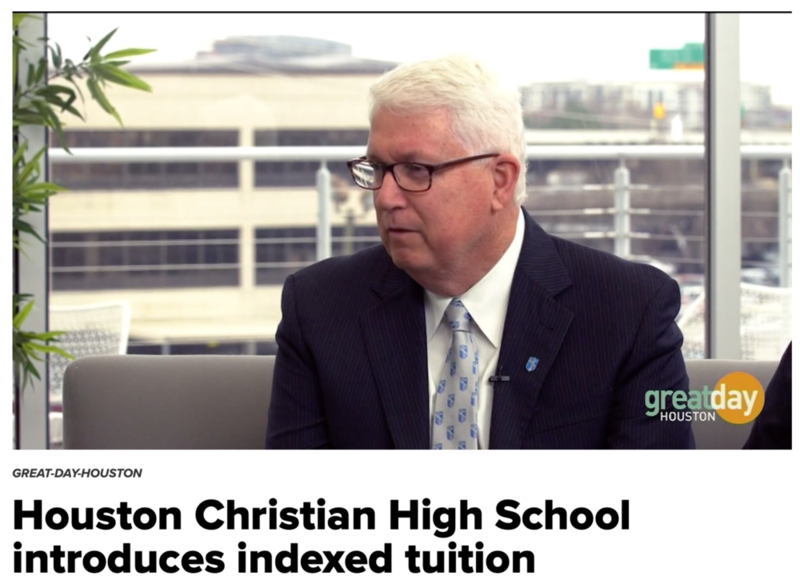 Houston Christian High School has announced a landmark tuition pricing program in the Houston region. The new Mustang Promise is an indexed tuition program that will promote greater access and inclusivity to the school throughout the city. We are very proud of our long-time client as they made their bold announcement on KHOU’s Great Day Houston program. According to the school, tuition is no longer a one-size fits all model at Houston Christian. Indexed tuition is essentially a scaled tuition model based on annual income, allowing families to immediately see the potential cost of their education. Houston Christian is the first high school to launch this innovative tuition model in Texas. This bold step will keep us at the forefront of education as an academic leader while reaching more families throughout Houston. Houston Christian High School has been an Ian Symmonds & Associates client school for well over a decade. Over the years we have developed several strategic marketing and enrollment plans, as well as strategic planning retreats with their board of trustees and administrative teams. HCHS rose to Houston area independent school prominence with their development of the Passport to Leadership program nearly a decade ago and is home to the George and Barbara Bush Center for Leaders and Scholars. The Bush Center is the only high school leadership center bearing the name and integrating the leadership legacies of a U.S. president. The center develops scholarship and leadership among gifted students from across the world.